If you wonder what’s missing from the Topanga Banjo-Fiddle Contest and Claremont Folk Festival, you should come out to Ventura next weekend for The Johnny Cash Tribute Road Show Revival. For starters, how about pin-up girls, hot rods, bikers, classic cars, Jesus and Johnny Cash—all of whom were there in abundance last year. Produced by Ross Emery Entertainment and Johnny’s other daughter, Cindy Cash, the show has all the ingredients of an old school revival meeting, minus Billy Graham and the Man in Black himself, but with many impersonators to create a general impression of what he sounded like. This June 27-28th will be their 7th annual Road Show. And you thought only Elvis had impersonators? The great Sun Session class of 1955-6, with Elvis, Johnny Cash, Carl Perkins and Jerry Lee Lewis, left a permanent mark on American popular music, and JC has found a nation of sinners and acolytes to pick up his signature black Martin guitar since he left it for the great road show in the sky. It’s no accident that this annual tribute takes place in Ventura: that’s where Johnny’s first wife and two young daughters stayed when Johnny left them for June Carter. Roseanne everyone knows about since she now has her own career in country/pop music. Cindy Cash, his other daughter, followed a more traditional path, and has now joined forces with entertainment guru Ross Emery to celebrate her father’s musical legacy by underscoring its connection to modern gospel. 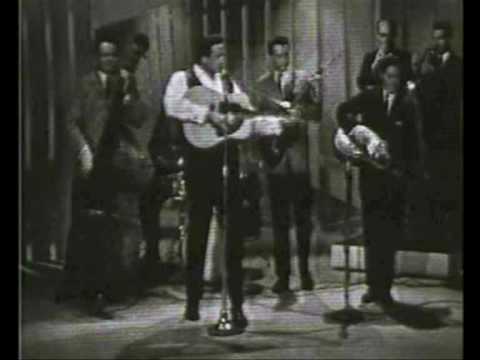 When Johnny moved from Sam Phillips’ Memphis label Sun Records to Columbia in the 1960s (paralleling Elvis’s move to RCA Records when Sam Phillips famously sold his contract for $35,000 just to be able to stay in business) Cash had in mind from the start that he wanted to record gospel songs, hymns and spirituals, as well as concept albums of American folk music. But Columbia Records wouldn’t countenance it until Johnny Cash had proved himself with some straight ahead country recordings, thinking that while the Lord was in Cash there was no cash in the Lord. 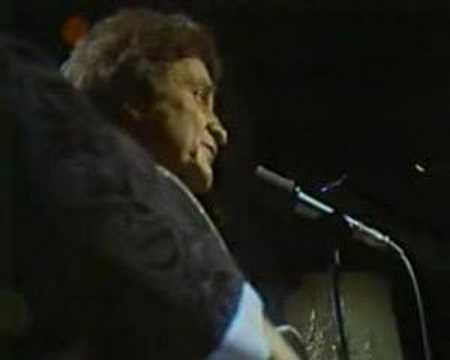 Cash proved them wrong, and finally released his landmark Columbia gospel album Johnny Cash Sings Hymns. I have that album and it’s one of my favorites, including a great album cover featuring Johnny’s old Gibson J-200 with his name stenciled up the fret board. It’s that album cover that made me covet a J-200, a dream which finally came true a couple of years ago when a friend and Vietnam veteran and guitarist gave me his as a gift, since he had finally made a commitment to classical guitar and no longer needed it. It’s a sunburst, just like Johnny’s—and Ricky’s—and Bob’s. Elvis preferred blondes. And now here we are, more than fifty years later; my mother is gone, Johnny Cash is gone, but I still get chills when I hear it, and had no second thoughts about trekking up to Ventura just to hear a festival full of Johnny Cash tribute and cover bands pay homage. It didn’t even bother me that I also had to sit through some revival meeting scripture for the privilege. After all, the readings came from Mr. JR Cash himself—whose second autobiography was called The Man in White—about his visits to the Holy Land. Hard Six is an electrifying rockabilly/punk band from Ventura, California featuring Michael "Fuse" Henry on vocals &guitar, Jeffrey 'Six' Barber on drums and backing vocals, and Alex "Vogelcide" Vogel on upright bass. There are a lot of Johnny Cash impersonators out here today—demonstrating that Elvis is not the only Sun Records sensation to have left a rich enough recorded legacy and strong enough echo of his indomitable personality to inspire a host of entertainers to make a good living just carrying on their musical memory. But The Mighty Cash Cats and Jeff Barber’s Hard Six are the only bands to bring back to life Johnny’s wife June Carter Cash with a guest turn by Dee2 (Dee Dee Henry) taking her vocal parts in their duets. Hard Six, by the way, is not a Johnny Cash cover band—though they do a great job paying tribute to him today: they have been hailed as “the greatest rock and roll band in Ventura,” so they really are the home town heroes today. Their new album Teenage Paranormal Romance is available on CDBaby and includes the Hank Williams classic Never Get Out of This World Alive. And their brand new album Haunted Ride will also be at the Road Show. I met Jeff when he was program director of the Autry Museum of Western Heritage and brought me in to do a tribute show for Woody Guthrie and other themed programs, including my final show there, The Greatest Protest Songs of the 20th Century. Jeff is now Santa Clarita’s Cultural Affairs Coordinator and brought me in for their Earth Day/Arbor Day Festival last April. As Hard Six’s blazing drummer he shows that his day job and his night club work are of a piece—a devotion to music and visual art as well. Last year he produced an Uncle Sam SLAM of patriotic paintings for the 4th of July. But you didn’t have to wait for the 4th to feel patriotic; June 14 (last year’s festival) was Flag Day, and Johnny Cash wrote one of the great songs on this theme—Ragged Old Flag. I couldn’t be in two places at once, so perhaps it was performed on the Get Rhythm Stage down the block. When Johnny first walked into Sam Phillips Sun Studios in Memphis (there were lots of T-Shirts available here with their famous logo on the front) he had a sheaf of songs he had written while he was in the US Army stationed in Germany—including the two for which the Road Show Revival’s stages were named—Get Rhythm and Hey Porter. Both songs were on my very first Johnny Cash album—the Sun Records classic Johnny Cash and his Hot and Blue Guitar—though the hot and blue part belonged to Luther Perkins, one half of the Tennessee Two. The other half was the standup bass played by Marshall Crenshaw. Long story short, Sam Phillips was dubious that this skinny kid fresh out of Uncle Sam’s army had actually written the songs. So he put him to the test: “You say you’re a songwriter; take your guitar and go into that closet and come out when you’re written me a song. You’re gonna cry, cry, cry. Hard Six made Johnny Cash’s first Sun Records song the last song in their set—a perfect note to end on. Hard Six returns this year for the Saturday show June 27, along with the Roadshow Revival’s recreation of Sun Records Million Dollar Quartet of Elvis, Johnny Cash, Carl Perkins and Jerry Lee Lewis, and The Reverend Horton Heat. And where else can you hear 50 Sticks of Dynamite? On Sunday June 28 special highlights will be The Blasters, John Doe of “X” and one of country music’s finest songwriters and storytellers outlaw Billy Joe Shaver (Old Five and Dimers Like Me) who turned 75 last year and has a great new song It’s Hard to Be an Outlaw (Who Ain’t Wanted Anymore). The Man in Black still sells out festivals like this great Roadshow Revival—even though he is now the Man in White, and singing gospel full time. 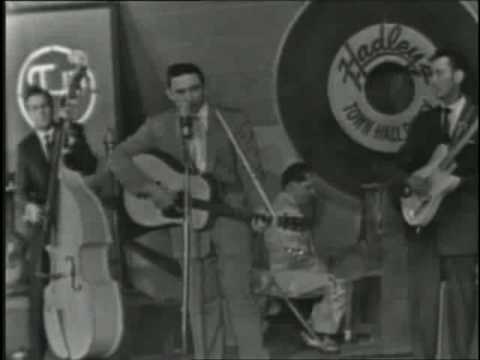 One of my favorite Johnny Cash songs captures this dual identity perfectly: You’re the Nearest Thing to Heaven On this Earth. The same may now be said of Ross Emery’s Roadshow Revival Tribute to the Music of Johnny Cash. The road signs may say Ventura, but as soon as your ears perk up from the music you’ll think you’ve arrived in Memphis, and the poster may say 2015, but your rockabilly heart will say it’s 1956. That’s quite a trip, and only an hour away! Don’t miss it! Click on RoadshowRival for the full artist line-up. Get you https://www.ticketfly.com/purchase/event/764857">tickets here.